v3.O, an ongoing and deliberate migration of all my online writing since 2007. 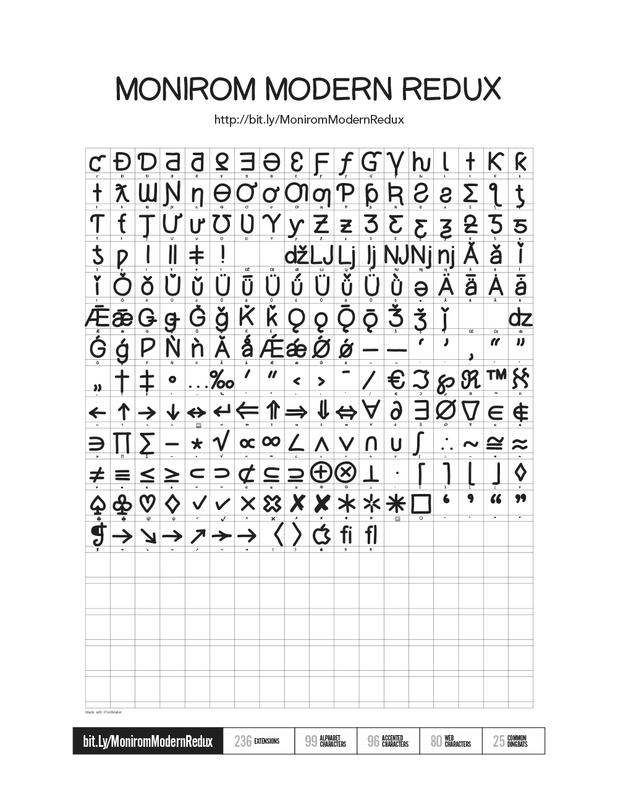 Why not give Monirom Modern Redux a try? It’s free, 100% gratis. Yes, it looks a little bit like Comic Sans to the untrained eye, but it’s a completely different animal. Cleaner, less sloppy and more deliberate in the strokes. 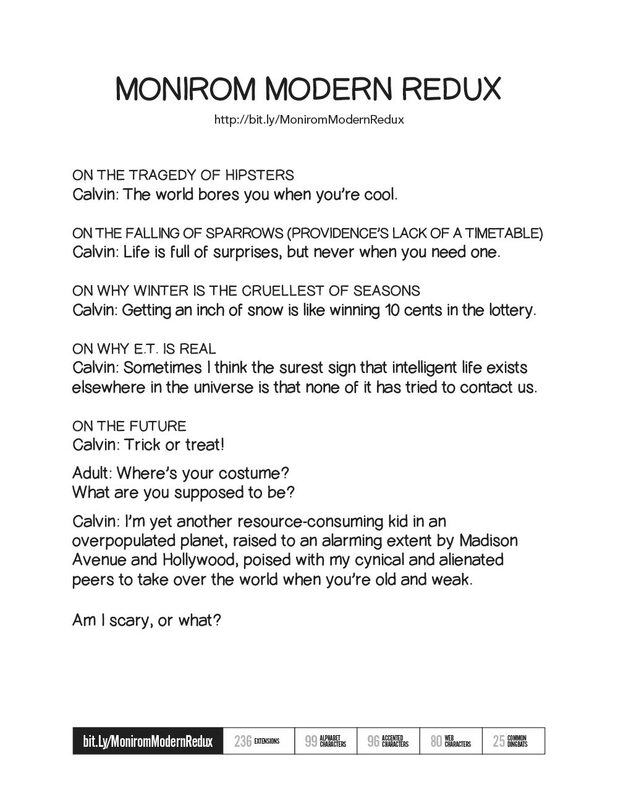 Monirom Modern Redux is a version (one of several) of my handwriting. A vanity font if there ever was one. Ever since I was a child I would switch from cursive to block printing the first chance I got. It seemed more natural, especially if I was writing with a mechanical pencil, a Sharpie or a Pilot V Ball extra-fine pen. 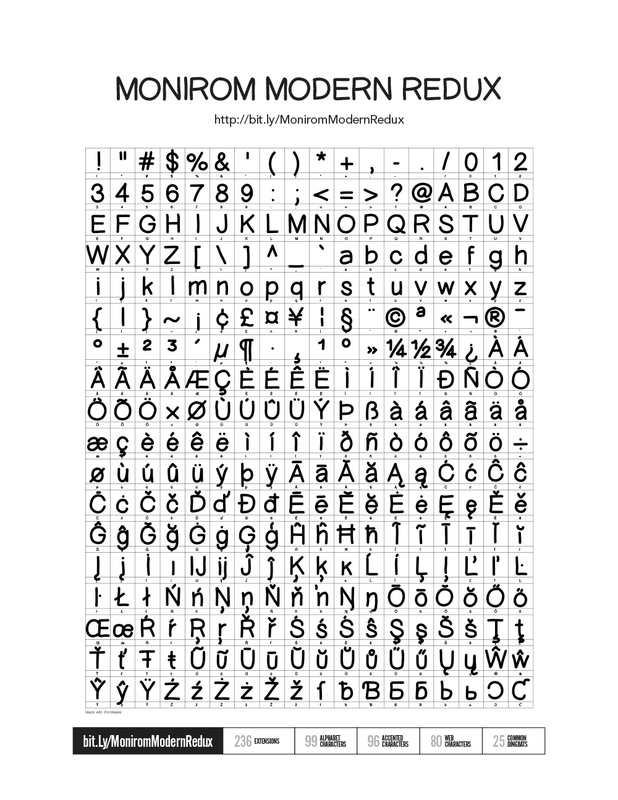 I would often switch between all caps and the upper and lowercase you now see in the MMRedux font. The problem with penmanship is no matter how well you print, over time your hand will give in to the affects of fatigue and your once pristine document starts to look like a grade school cursive practice worksheet. Sloppy. Apparently, practice does not make perfect. Thus was born Monirom Modern Redux, my handwriting without the degradation. Why the Redux suffix? The first time I executed on my font I forgot the ligatures. 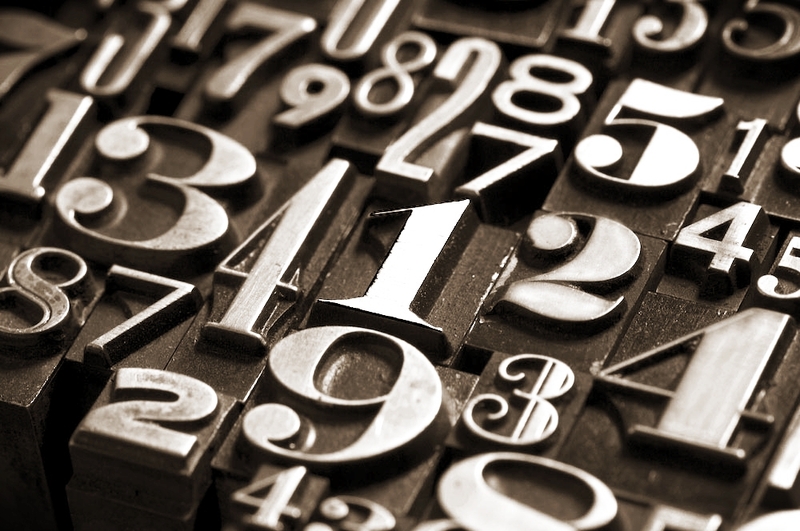 MMRedux has 236 extensions, 99 alphabet characters, 96 accented characters, 80 web characters and 25 common dingbats. You can download it here. Link not working? Cut/Paste the links below into your browser. I purchased an Apple Pencil last year so don’t be surprised if a condensed and/or ultra-condensed version or maybe even an MMRedux v2.O font is launched later this year. My current pen obsession is the TUL Retractable Gel Pen. 0.5mm Needle Point Fine, Black, and 12 to a pack for $18.00 to $24.00 depending on where they are procured. Because of the price and my OCD, I never lose a pen and I use the heck out of each and everyone.